Locations — Duke Sandwich Co. The Poinsett Highway location is our flagship shop since the early sixties, located by Cherrydale on Poinsett, where all the classics you have come to love and count on are still served with care daily. Our second spacious dinning room near Haywood Mall on Congaree Rd. offers all the same full menu items as the Poinsett location in a newer and more spacious location with easier and ample parking. 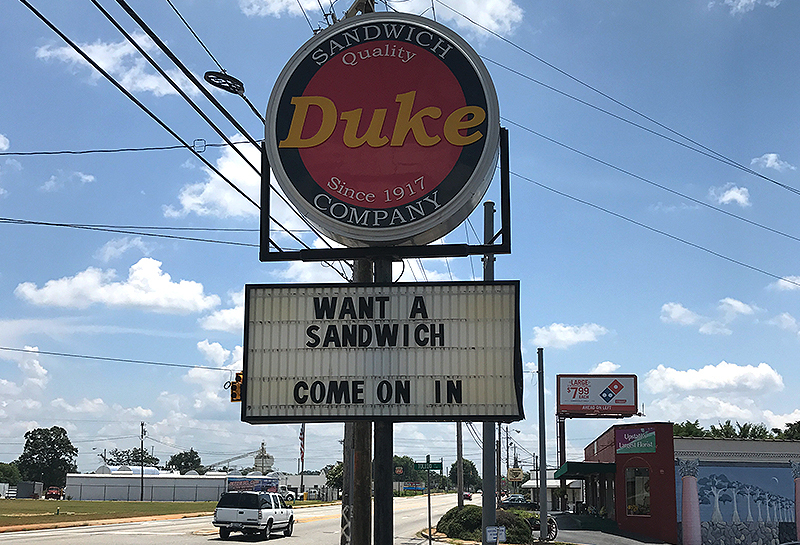 The Augusta Road location is probably the smallest, but most authentic of experiences located inside the Pickwick Pharmacy, still serving from an old-style soda-fountain counter featuring Duke Sandwiches.